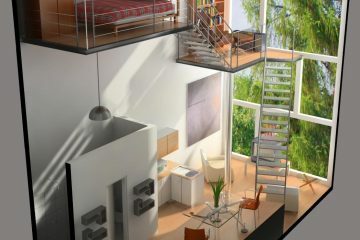 It’s enough giving you ideas about interior stairs decor and storage under the stairs. 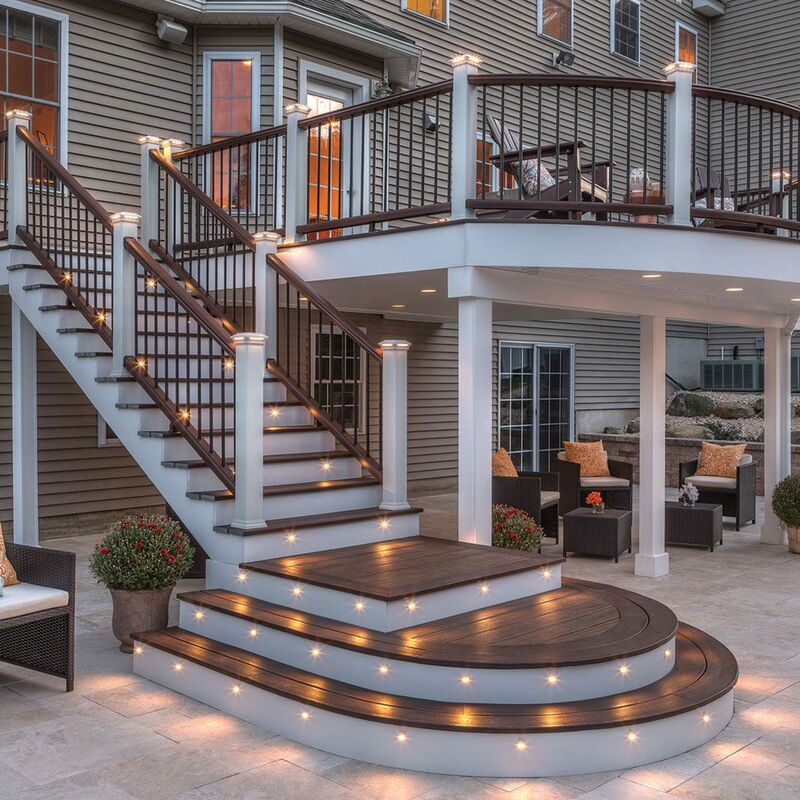 Now, it’s time to give you inspirational ideas about outdoor stairs lighting and decor. Bring the light in an outdoor place in the best possible way. 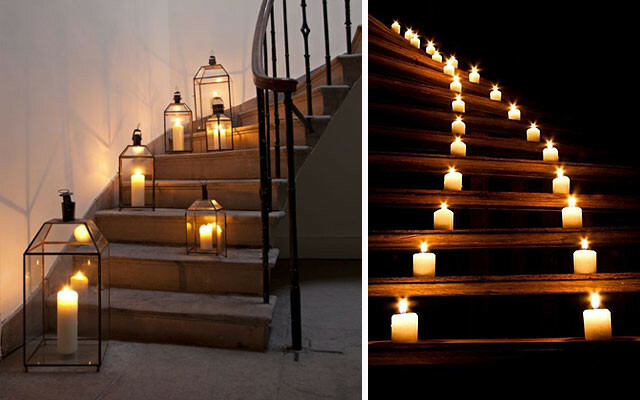 Add hidden LED lights on wooden or stone steps, or simply add lanterns and candles for a romantic look. Peek in the following images and find helpful and useful ideas for your own outdoor place. 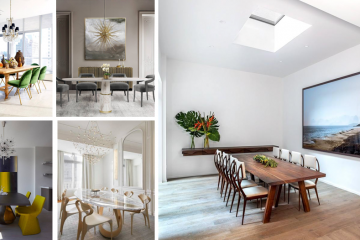 Whatever you choose of the following images, you will have a lovely outdoor place. 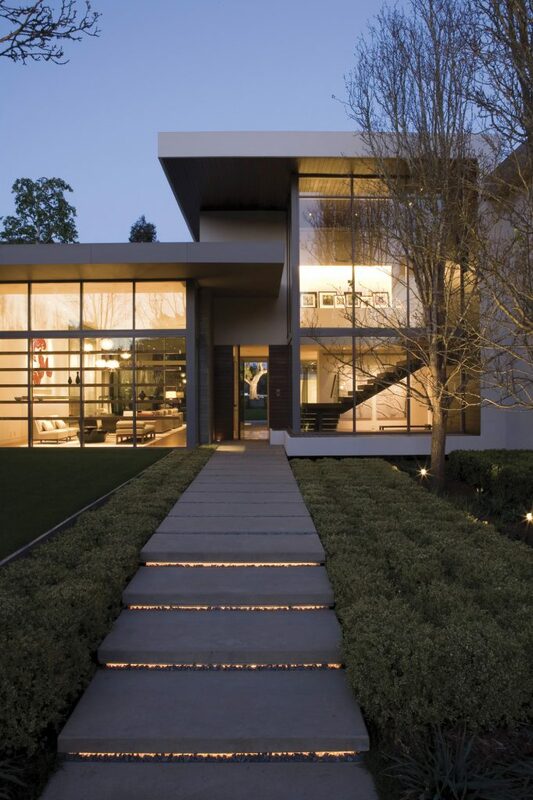 Take a look in our last post about the best front door designs for ultra-modern houses. 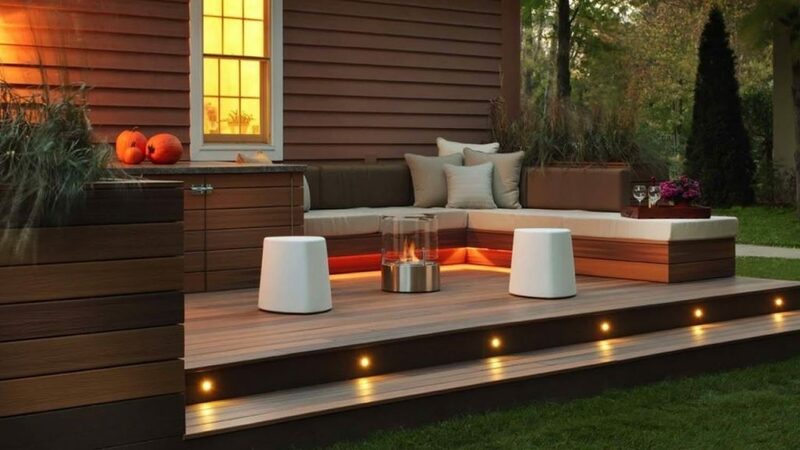 In the first photo of our post, you have the change to see the awesome outdoor wooden deck with secret lights. When I saw this photo for the very first time, it took place in my heart. What about you, do you like this idea of lighting? 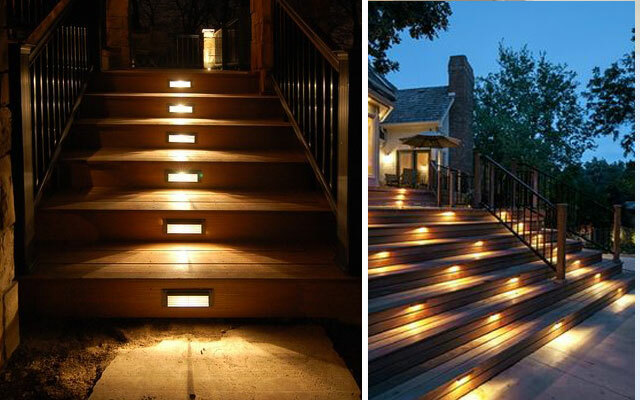 If you have wooden outdoor stairs it’s easier to take care of the lights. For example, you can add secret LED lights that will look modern and also you will save on electrical energy. But if you are of those people who enjoy in romantic design, just solve the problem with a dark yard. 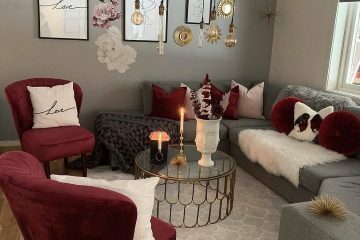 You will solve this problem in an easy way, just arrange candles on every step and amaze the decor! Outdoor seating area needs some special light so think about adding hidden lights. 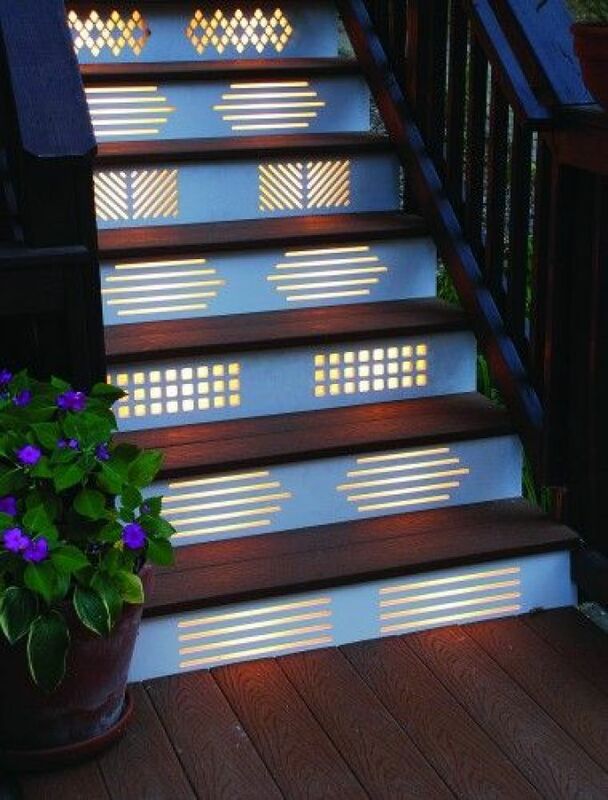 For example, copy the style of this photo and add the lights under the stairs of your wooden patio deck. Wow! Here is another romantic idea that will save you money, electrical energy and will help you to create stunning outdoor. 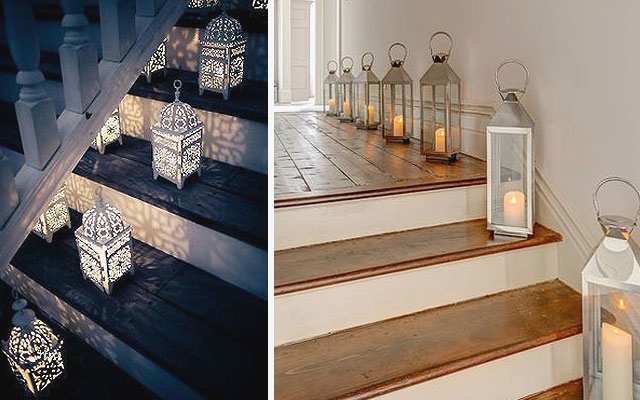 Add lantern on every step that is part of outdoor and just WALK IN A STYLE! 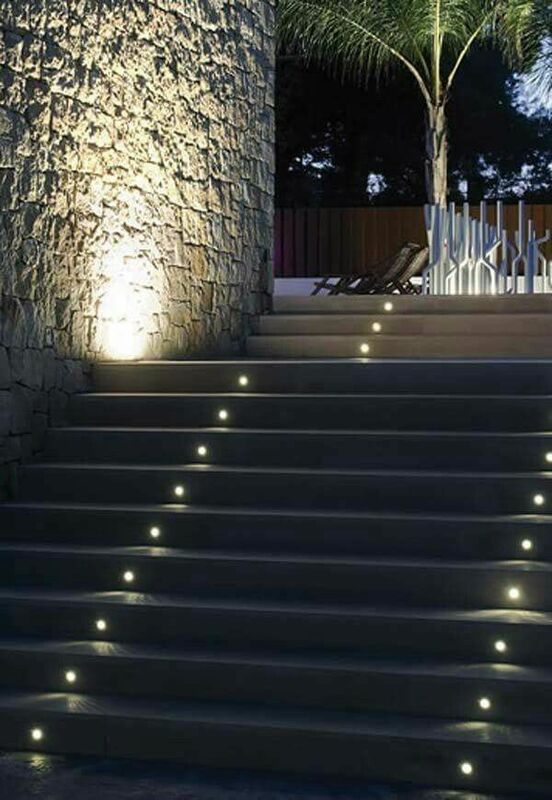 If you already have other lights, for example like wall lights, just complete the decor with awesome outdoor stairs like this in the photo below. Separate the steps in two parts with different lights. Amaze yourself in this photo and find motivation for your own outdoor place. 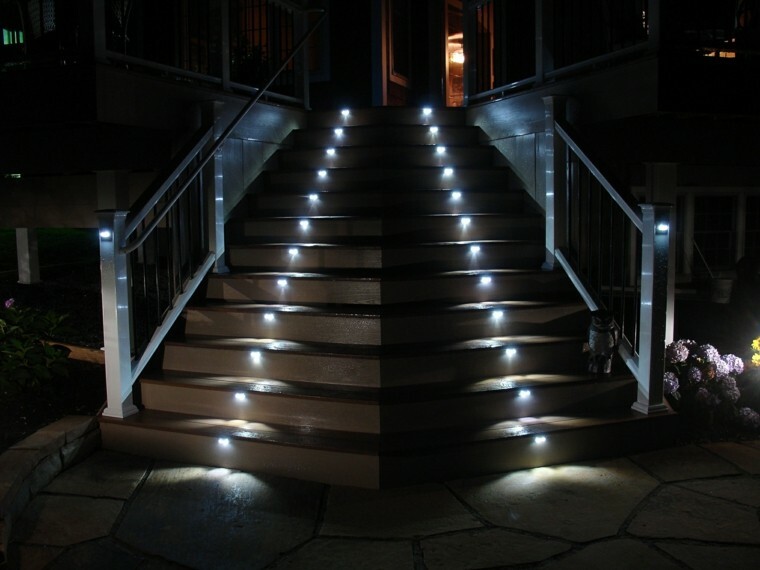 Apply the LED hidden lamps to the outdoor stairs like is shown in this phoot. You can have cool steps that will give you enough light for a front place of the house.